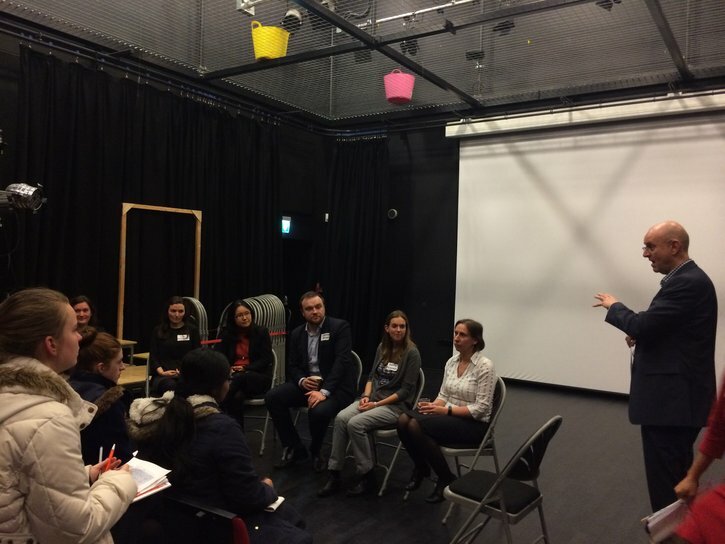 On Tuesday 7 February more than 85 advisors (parents, alumni and friends of the school) from over 46 different professions kindly gave up their evening to act as advisors and chat to well over 200 eager students from years 9 to 13 at Notting Hill & Ealing High School’s Careers Convention. Among the 85 advisors was Network Rail (NR) Project Manager James Bowry, NR Environment Specialist Lucy Stephenson, and from Taylor Woodrow Senior Design Manager Pippa Higgins, Quantity Surveyor Sophie Ferguson and Communication & Community Liaison Manager Kathryn McGufficke who provided advice and information about their professions and how they got to where they are. “It was great to be able to provide the next generation with some insight into the construction industry and in particular engineering,” said Pippa Higgins.